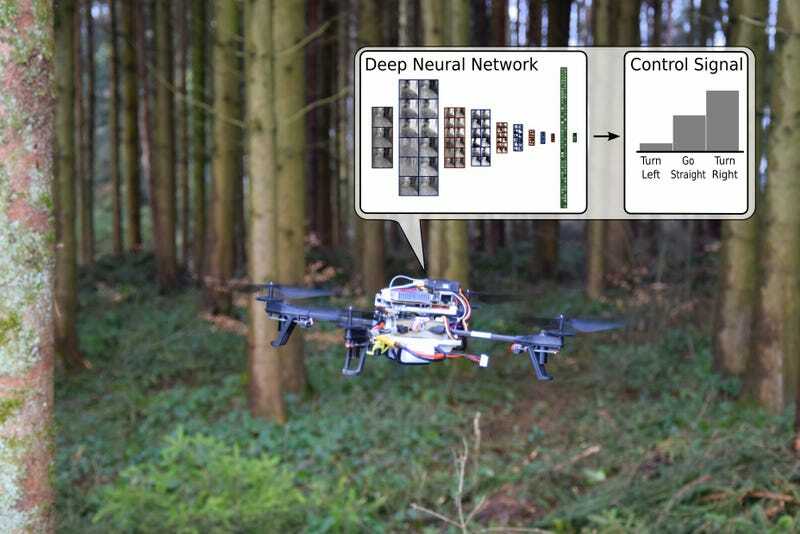 Flying around forests is actually really tough for UAVs, since it’s a more crowded, complex environment to operate drones than a tree-free cul-de-sac is. So the key was to develop software that uses a Deep Neural Network — in other words, a program that learns from its past mistakes to hone its future behavior, just like humans do. The researchers hiked for hours in the Swiss Alps and snapped over 20,000 images of trails using camera-equipped helmets. That data was used to create an algorithm. Next, the neural network was tested by being shown a new, never-before-seen trail — and the network correctly predicted the direction the person went. The actual drone the researchers tested was a small quadrotor, free of fancy sensors, and just used two tiny cameras, like the ones you’d find in smartphones. Using the algorithm, the software IDs visibly man-made trails and then steers the drone in the right direction. The team says the deep neural network picked the right direction 85 per cent of the time, while humans nailed it 82 per cent of the time. 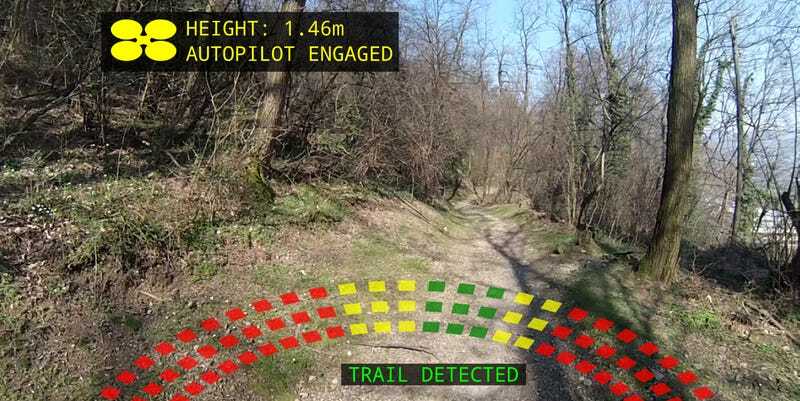 Now that drones can identify human-made trails, it’s a matter of time before they get better at ID’ing humans themselves – that could end up being a boon, or it could just be really creepy.